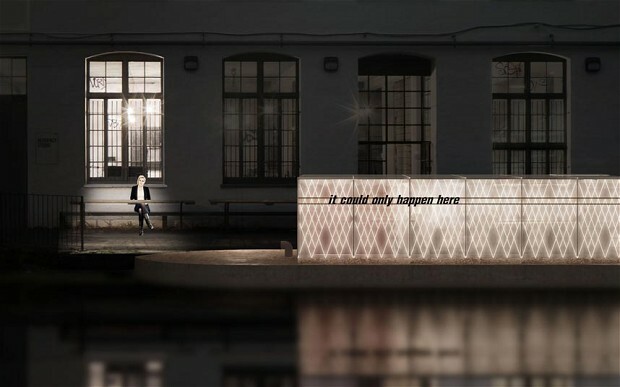 The Floating Cinema, which is touring the waterways around the Olympic Park in east London, was designed by Duggan Morris Architects. A wide-beamed 60-foot canal boat is the venue for the programme, which has been devised by London-based artists Nina Pope and Karen Guthrie. Entitled ‘Extra-Ordinary’, the inspiration behind the events is to ‘allow people to see the magical in the seemingly ordinary’, and will include intimate on-board screenings, large-scale outdoor films for bank-side audiences, canal tours, talks and workshops. This entry was posted in happenings. and tagged canal boat, cinema, design, Duggan Morris, Floating Cinema, karen guthrie, nina pope, olympic park on August 16, 2013 by owls house london..